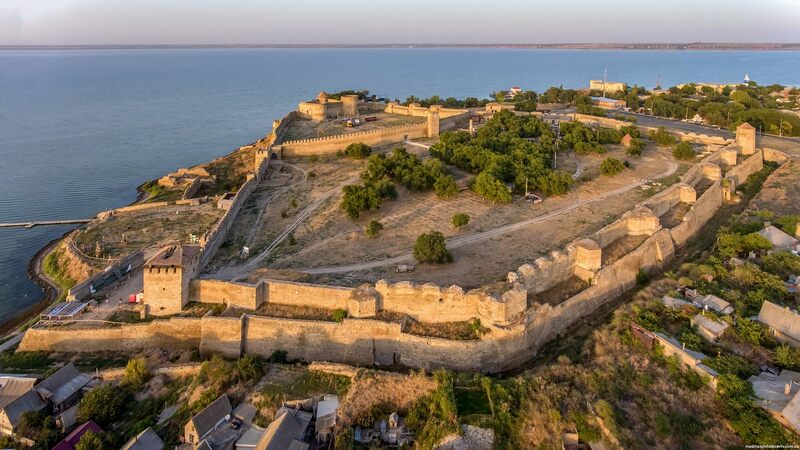 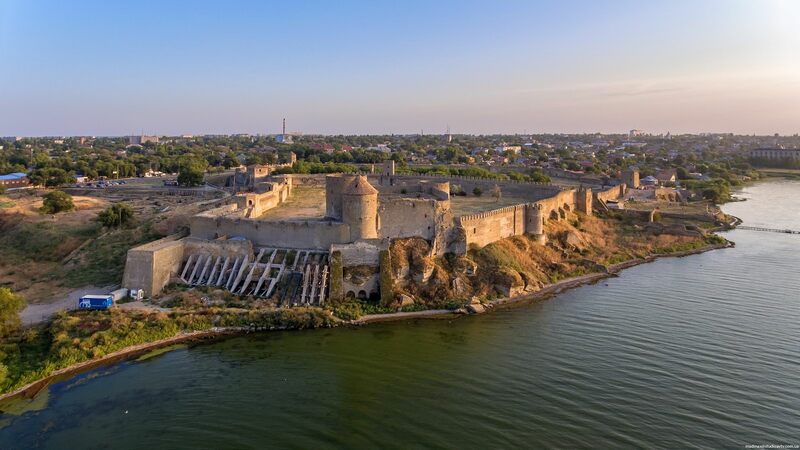 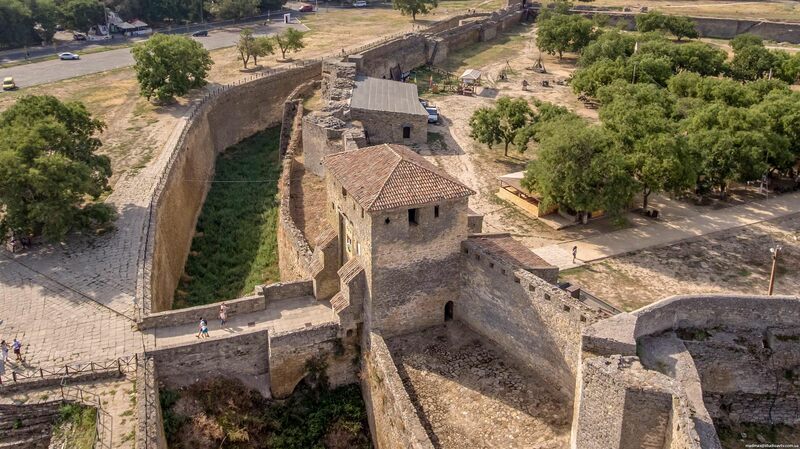 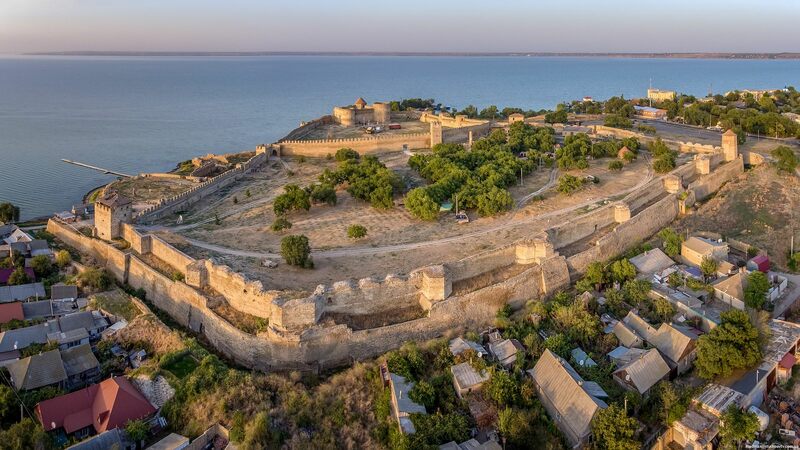 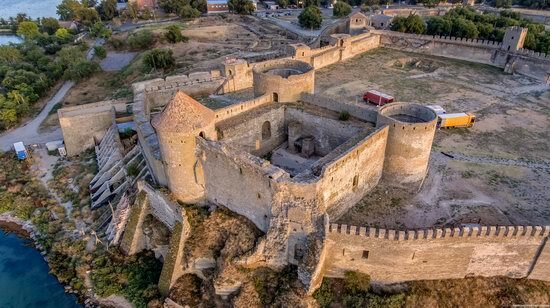 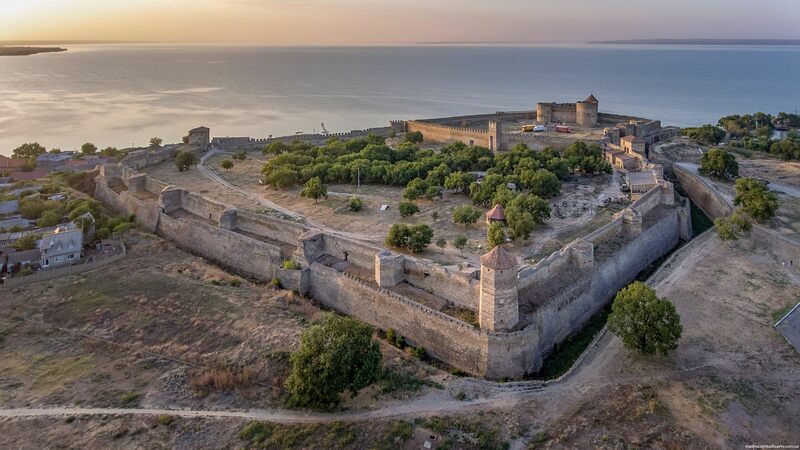 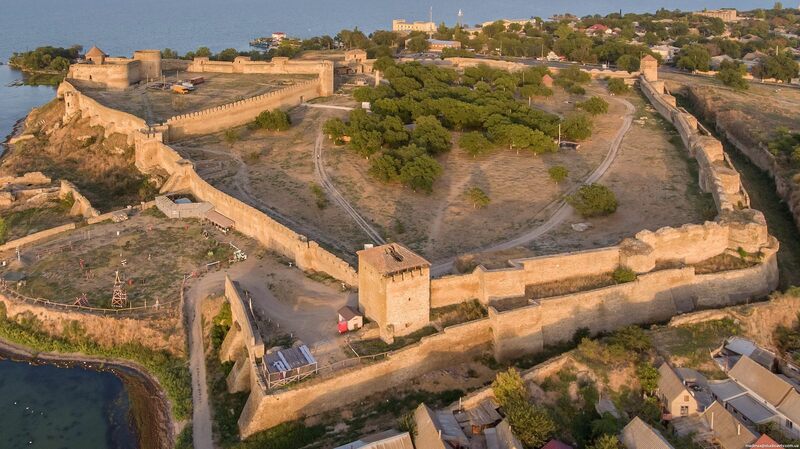 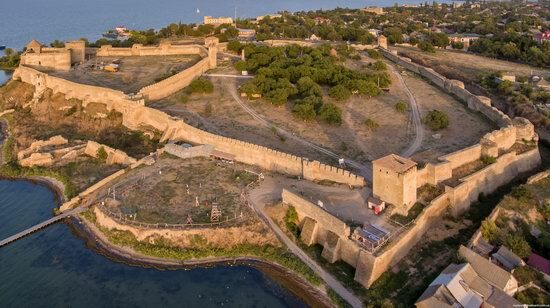 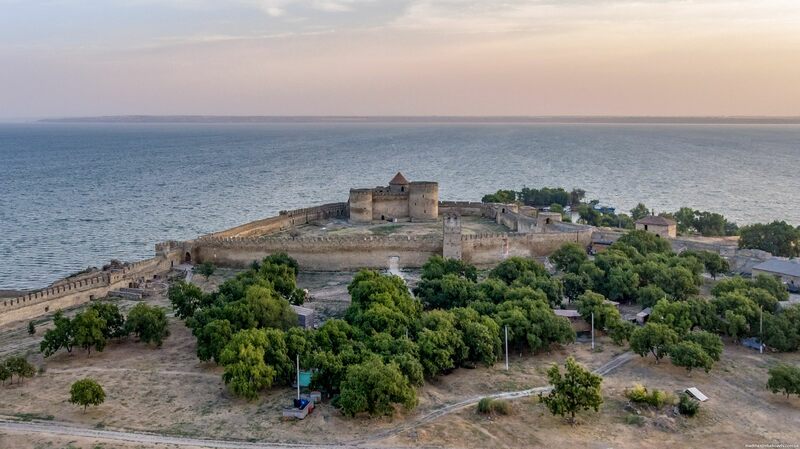 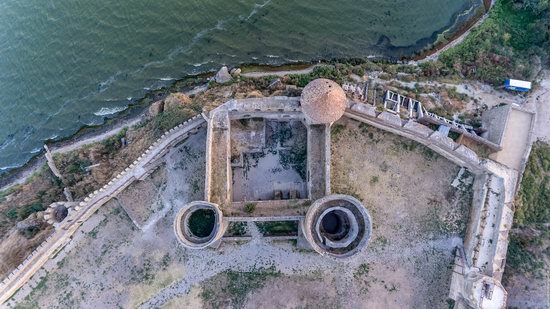 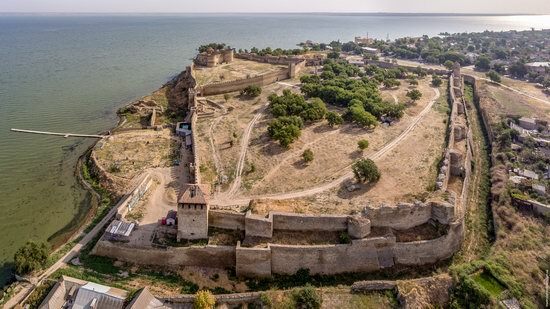 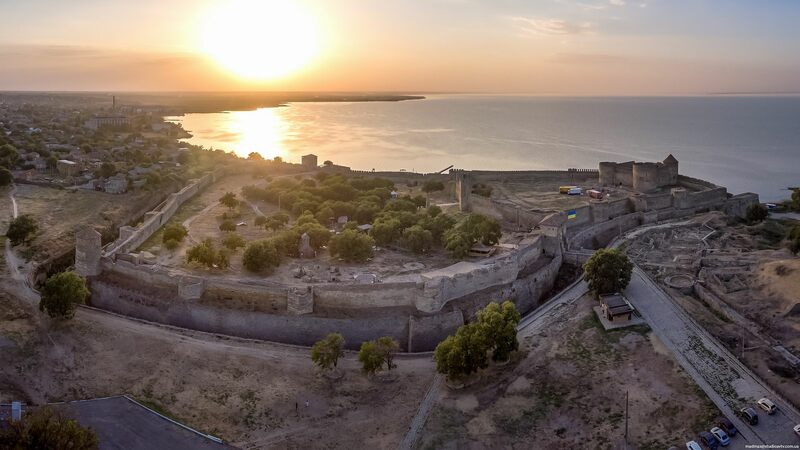 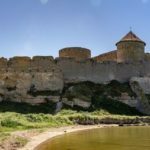 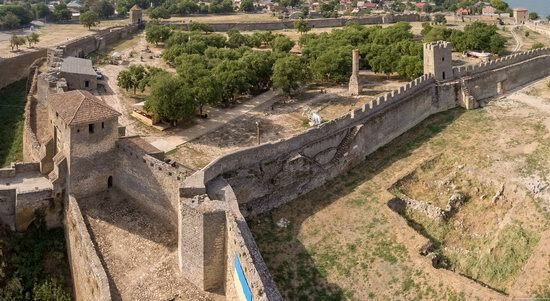 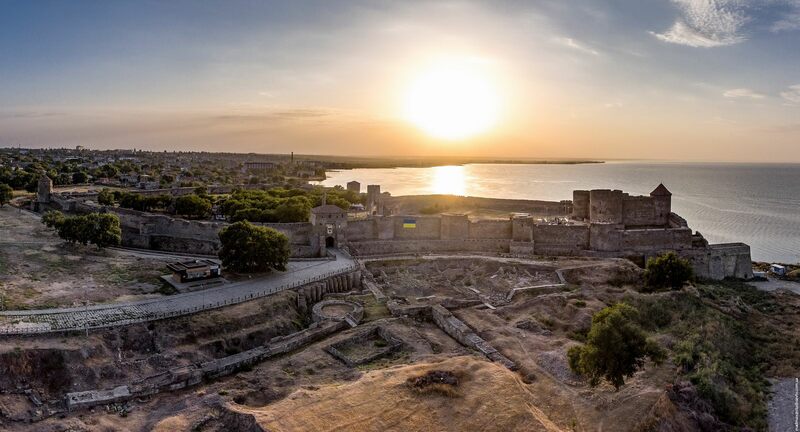 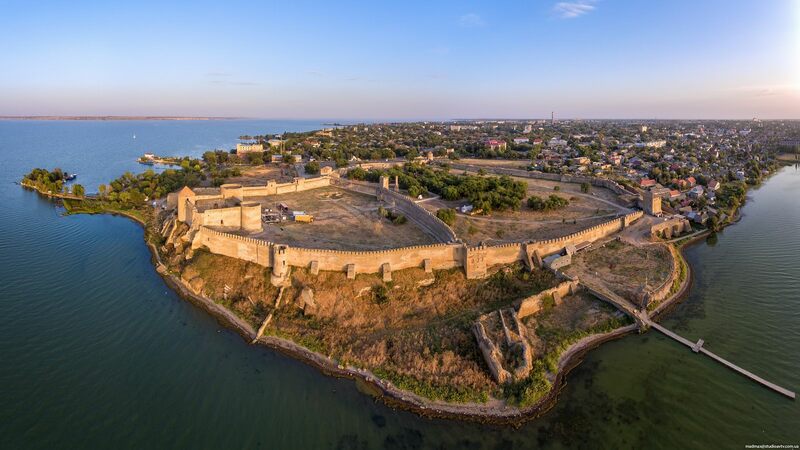 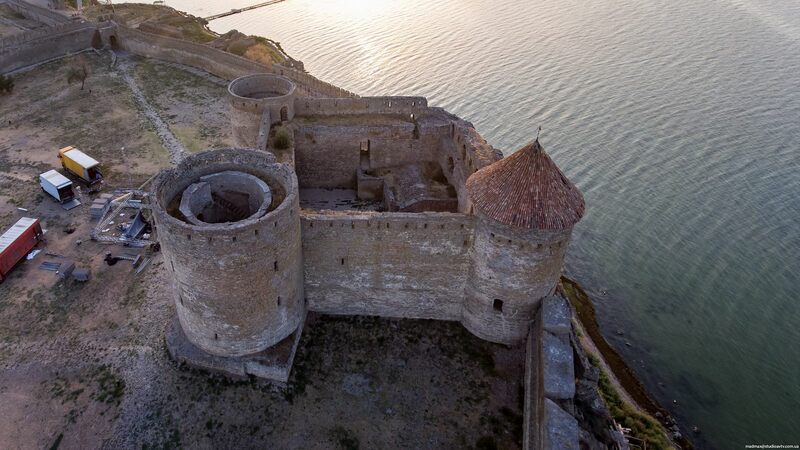 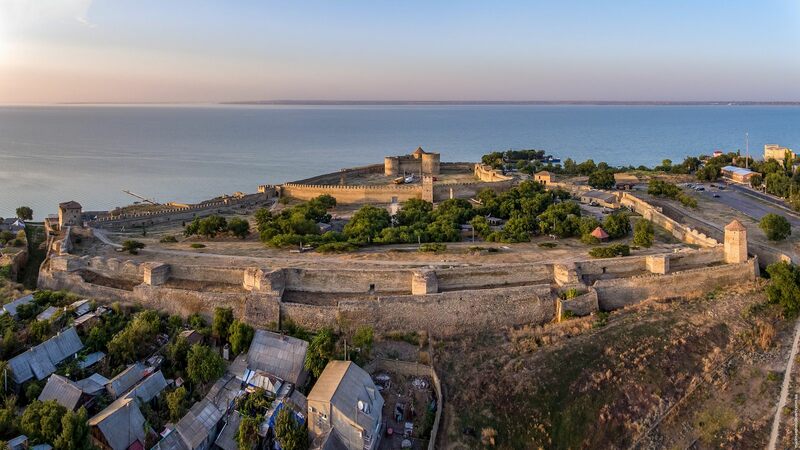 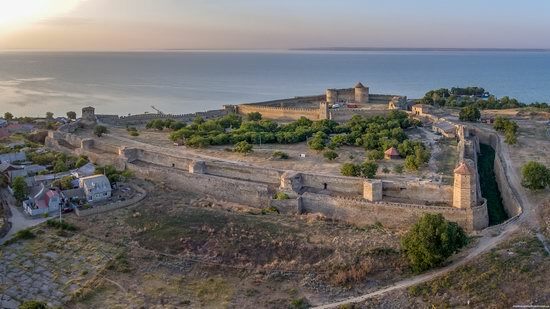 From the north, the fortress walls are protected by the Black Sea (the Dniester estuary). On the other three sides, it is surrounded by a moat, which depth reaches 13-14 meters today. The inner wall of the moat is several meters taller than the outer wall. The area of the largest courtyard (the Civic Courtyard) of the fortress is 5 hectares. 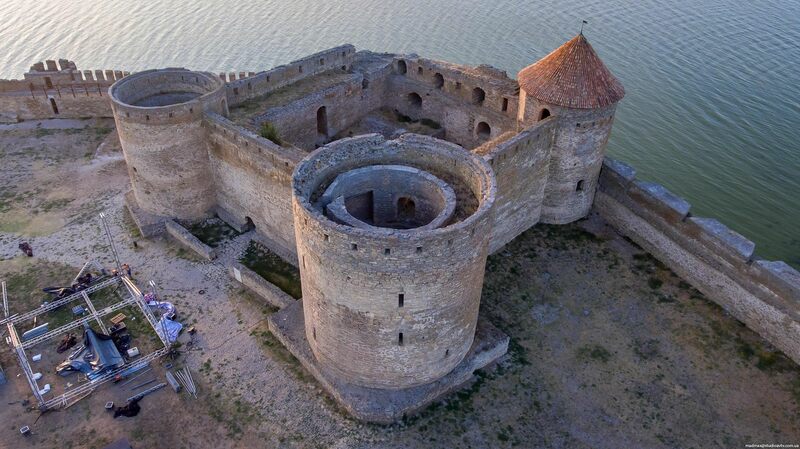 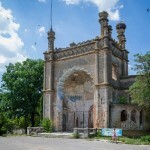 In the past, it was built up with residential buildings. 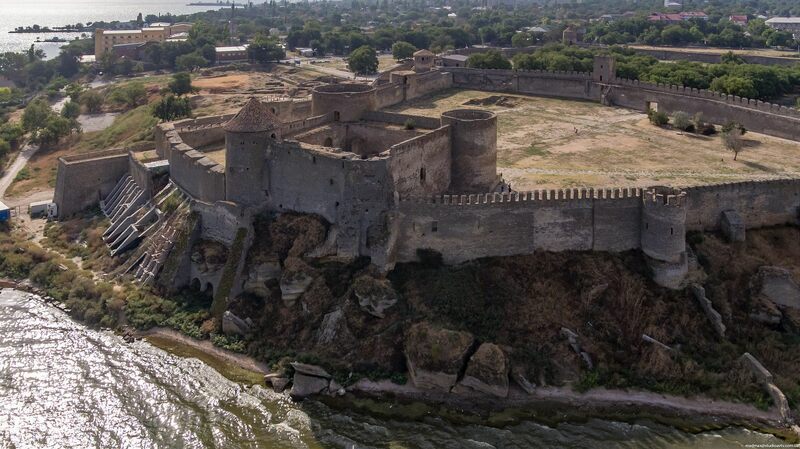 In the Ottoman period, there was a large mosque there. 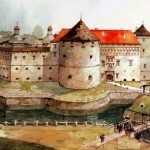 In the 19th century, all residential buildings of the courtyard were dismantled. 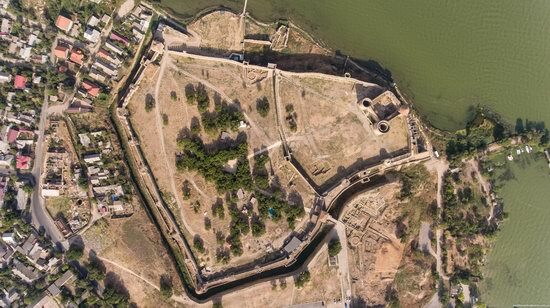 The commandant and officers of the garrison lived in the Citadel, there was an arsenal and a treasury, prisoners were kept in its dungeon.